The MVR valve is a modular direct check valve n with mounting surface according to the CETOP, ISO standards and NFPA D03 standards. 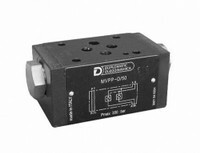 The MVR-RS/P valve is a a check valve that also incorporates includes the of flow restriction option. 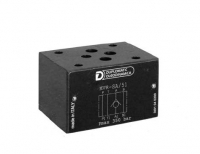 mounting surface according to the CETOP, ISO and NFPA D03 standards. This is a pilot operated check valve with spring closing. The mounting surface is according to the CETOP,ISO and NFPA D03 standards. 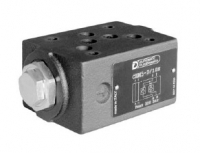 The VR4M valve is a modular direct check valve mounting surface according to the CETOP, ISO and NFPA D05 standards. This is a pilot operated check valve with spring closing. The mounting surface is according to the CETOP,ISO and NFPA D05 standards.